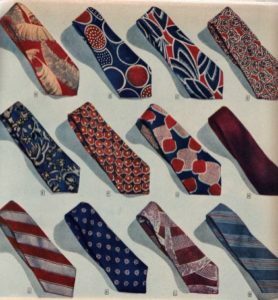 Learn more about the evolution of neckties from then to now. 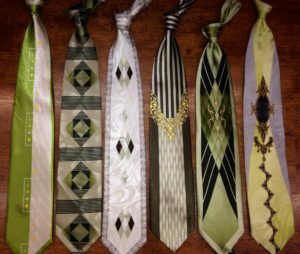 The Necktie originated in the 17th Century during the 30 Year War in France, but it was not the French that came up with the initial trend. 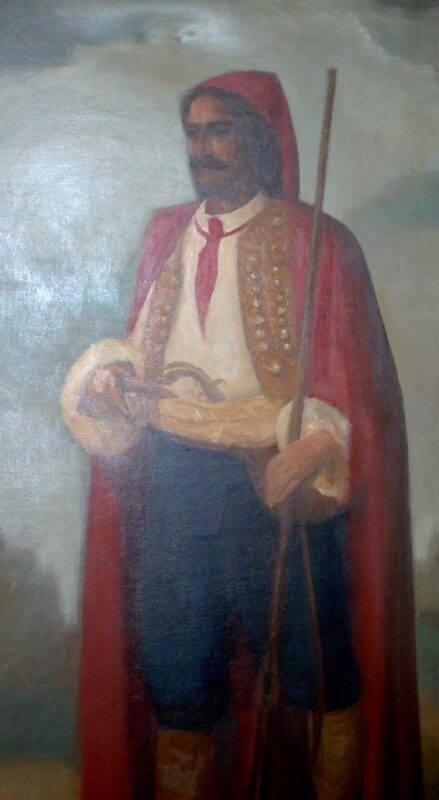 King Louis XIII hired Croatian mercenaries who wore a piece of cloth tied around their necks. The purpose: for decoration. They served no functional purpose, but King Louis XIII took a liking to them. So much so, that he made them mandatory for royal gatherings. He called them “La Cravate,” to honor Croatian soldiers. 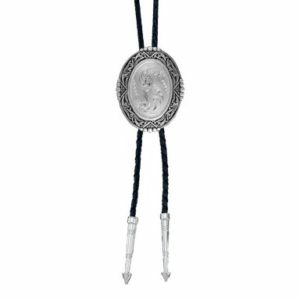 This early version of the necktie looked NOTHING like our modern day necktie. 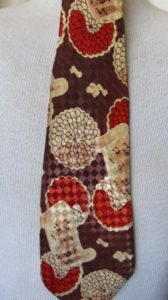 The tie we are familiar with today did not emerge until the 1920’s. 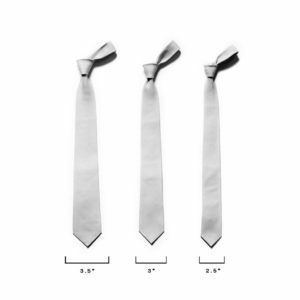 Just to make it easy, we’re going to take you through the evolution of the necktie one decade at a time. Ties were the MUST HAVE accessory. Bow ties were worn for formal black tie events. 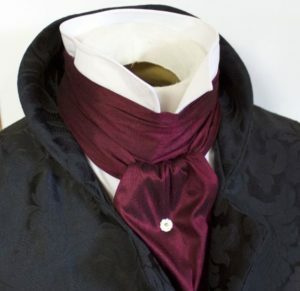 Ascots were required for formal daytime dress in England. 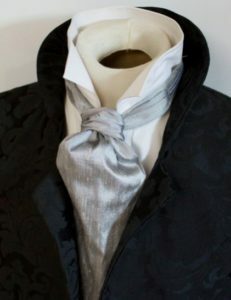 Formal cravats and ascots became less and less popular as men’s fashion became more casual. Haberdashers focused on comfort, functionality, and fit. Ties began to form into the ties we are familiar with now. 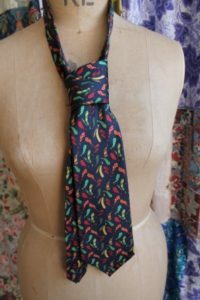 Jessie Langsdorf, a New York tie maker, found a way to make ties that return to it’s original shape after being knotted. 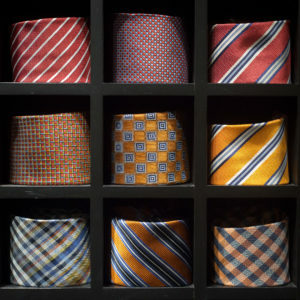 Neckties became the more casual everyday tie, while bowties were set aside for formal functions. Repp-stripe and British Regimental ties emerged. 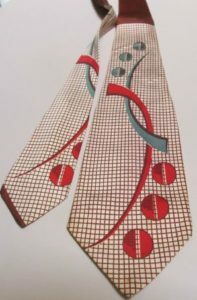 Neckties became bolder with Art Deco patterns. Men started wearing their ties shorter using the Windsor knot – invented by the Duke of Windsor. The end of WWII brought out a feeling of liberation that was made evident in fashion. 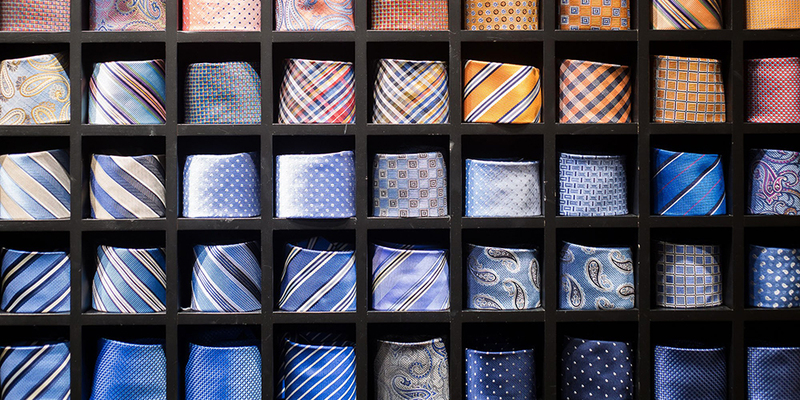 Ties were bolder and patterns stood out more than ever. 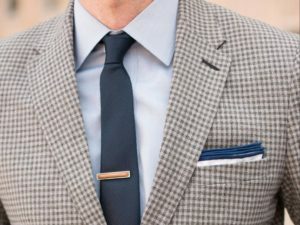 The skinny tie was introduced to compliment more fitted clothes. Tie makers started experimenting with different materials. 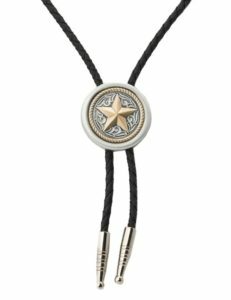 While most places in the 70’s embraced the wide tie, Bolo ties became the official state neckwear in Arizona. 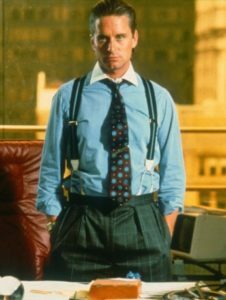 Since fashion in the 80’s was questionable to begin with, tie makers played it safe and continued to make both Kipper Ties and skinny ties. 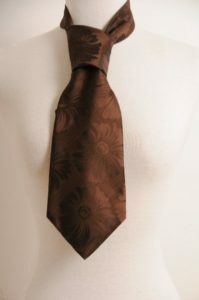 Paisley and floral patterned ties began to take the spotlight in men’s ties even more than before. 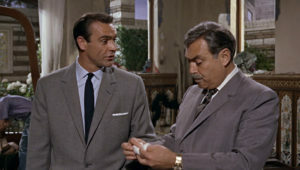 Thinner ties began to make more of an appearance, which was truly embraced in European culture. 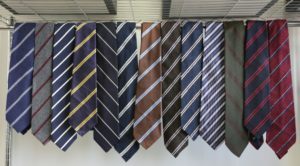 Today ties come in a variety of widths, patterns, and materials. 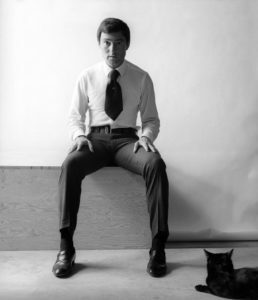 Modern men’s fashion focuses on the ability to express one’s self. Paisley and floral patterns came back in style. Skinny ties have become increasingly popular among young professionals. Polka dotted and plaid patterns are on the rise. So… maybe they are just for looks, but who’s complaining? Ties have come a long way, but whether it’s to add a pop of color or texture to a suit, they’ve always done the job quite well! A handbag is a fashion statement and a daily necessity!